The MS-18-HI Music Stand Gooseneck Lamp from Littlite is a lamp designed to provide illumination on your music stand. The neck of the lamp is flexible and can be adjusted to provide the perfect lighting angle. 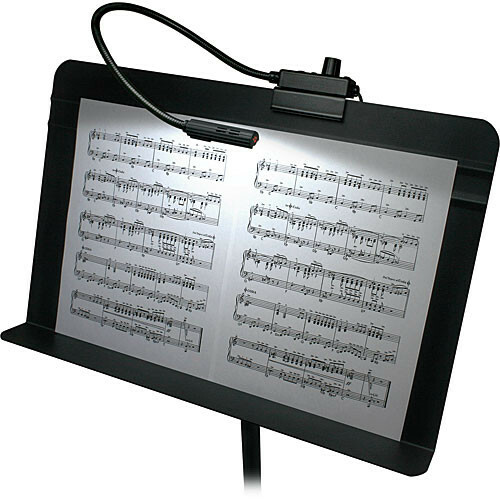 This lamp can be used with virtually any standard music stand that features a flat edge. It includes a friction-mount base that allows you to place the lamp on the top or side of the stand. Box Dimensions (LxWxH) 17.9 x 4.0 x 1.1"